These eight startups are more than just startups. They are our very real Unicorns. Meaning, a company whose valuation goes beyond the mighty $1 billion mark. Despite the murmurs of layoffs in Flipkart, Snapdeal and Quikr pouring in this year, these startups continue to achieve heights with talented and dedicated employees. Here we’ve made a list of employee strength of Indian unicorns. 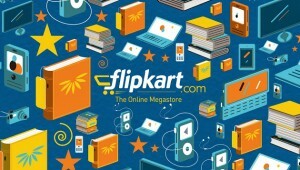 India’s most valuable Internet company and an e-commerce giant that needs no explanation has $15.5 billion valuation. Around 35,000 employees work under its umbrella. The startup was rumored to layoff around 700 employees earlier this year; still it employs the most number of employees in Indian unicorns. The second largest startup in India and another leading name in e-commerce has 9,000 employees working for them. It’s valuation is $5 billion. 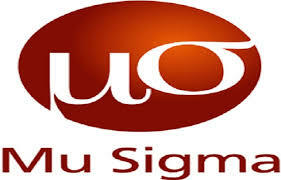 Founded in 2004, Mu Sigma is an Indian management consulting firm offering analytics services. It’s valuation stands at $1.5 billion. Approximately 3,500 employees work in the startup. This online classified advertisement startup has successfully made touchdown to the billion dollar club of unicorns. Its employee strength is about around 5000. The leading name in India’s online transportation sector has $5 billion valuation and has around 5,000 people working for them. The mobile wallet app that made us through the country’s demonetization drive is an unicorn startup with $2 billion valuation. It has around 4500 employees working for them. Founded in 2017, InMobi is a mobile advertisement and discovery platform. 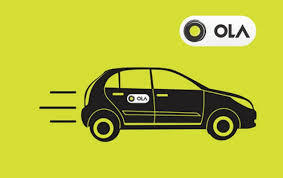 This Bangalore based startup has $2.5 billion valuation and employs 1000+ employees. This online marketplace has $1.1 billion valuation and 707 employee strength, making it rank eighth on our list of employee strength of Indian unicorns. Alchetron: A Startup That Aims To Be The First Social Encylopedia Top 10 Most Valuable Start-ups In The World In 2016 Sports Startups Are Latest Hot Investment Ventures for Indian Entrepreneurs Snapdeal Takes On Paytm, Introduces Digital Wallet Mumbai Taxis On Strike, Uber Comes Up With The Perfect Response QuackQuack: A Startup For A Clean & Matured Online Dating Platform Mark Zuckerberg Has Just Shared Some Stunning Pictures From Facebook’s Data Center Facebook Has Just Entered Yet Another Lucrative Market – Events Two Senior Twitter India Executives Have Quit In Three Days So Which E-Commerce Company Is Winning This Festive Season?